No matter what the weather outside, applying sunscreen is a very important step to be included in your daily skincare routine. The main benefit of sunscreen is that it acts as a protection against the harmful UV rays which penetrates your skin every time it is exposed to the sun. It also protects your skin from developing signs of aging and helps to prevent dark spots, dull and uneven skin tone. 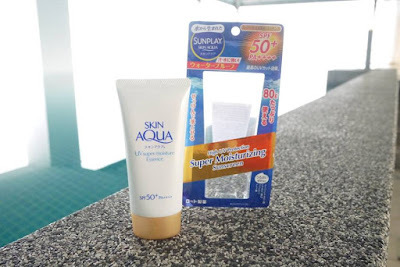 Introducing the all-new Sunplay Skin Aqua Super Moisture Essence, a super moisturizing sunscreen with high UV protection that is formulated with 4 highly-moisturising ingredients (namely Super Hyaluronic Acid, Nano Hyaluronic Acid, Amino Acid and Collagen) to provide the skin with instant moisture and long hours of hydration. 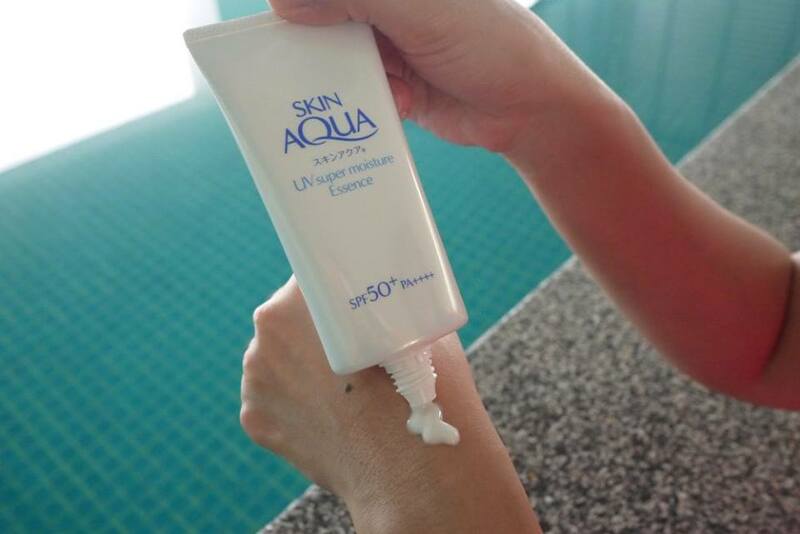 The refreshing watery light texture enabling the product to spread easily and absorb quickly into the skin. Its quick absorption gives the application a weightless finish which allows the skin to breathe and leaves the skin feeling comfortable. 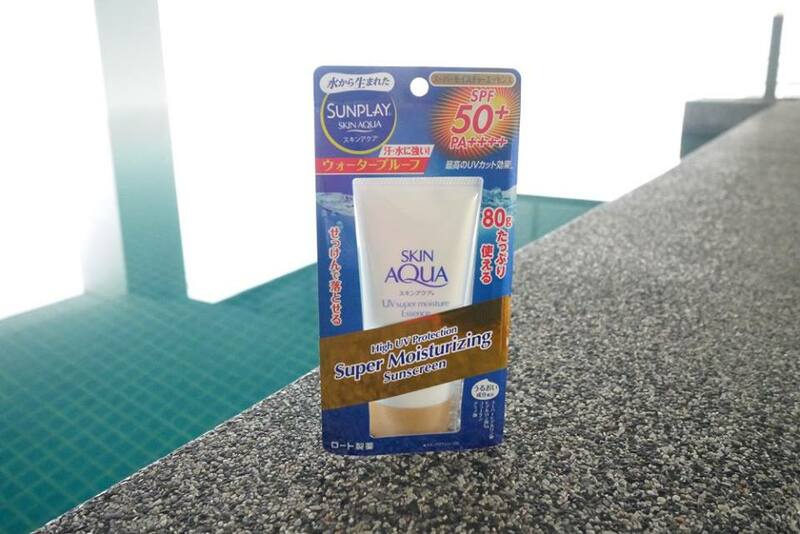 Because of its lightweight feel, this sunscreen is suitable for daily application, and even serves as a good makeup base. Formulated to use on both the face and body, the Sunplay Skin Aqua Super Moisture Essence has a strong sun protection of SPF50+ PA++++ which effectively prevents damage to the skin caused by UV rays. It is gentle to the skin, allergy-tested and free from colorant, fragrance and mineral oil. The all-new Sunplay Skin Aqua Super Moisture Essence (RM55.90) is available exclusively at Watsons nationwide. The weather is crazy hot these days and I have to be outdoors for one whole week! Thanks for recommending this higher UV protection sunscreen. I also prefer this sunplay. It helps to protect my skin from sunburn. Waaa I need this for my skin. Elok sangat jadikan sebagai make up base. Walaupun tak terdedah kepada cahaya matahari, kulit kita juga perlukan perlindungan UV dari cahaya skrin komputer, tv dan juga hp! Product review comes at a good time! will it becomes so oily if we exposed to the sun or sweating? I always have a problem with sunscreen that 'melts'.